Nearly new FOUR bedroom, three and a half bath home centrally located just minutes from MCAS Beaufort, MCRD Parris Island, Navy Hospital and Historic Downtown. 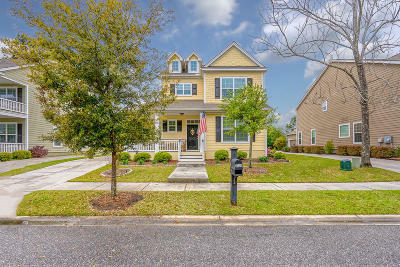 This home offers over 2500 square foot and is situated on a quiet dead-end street in the desirable neighborhood of Live Oaks at Battery Creek. On the first floor, you will find an office / extra living room, formal dining room, and eat-in-kitchen that opens up to the main living area. The kitchen offers stainless steel appliances and gas range. Huge walk-in hall closet with plenty of storage and a half bath. On the second floor, you will find the master suite, master bath, two additional bedrooms with closets, another full bath, large storage closet, extra linen closet, and the washer and dryer area.